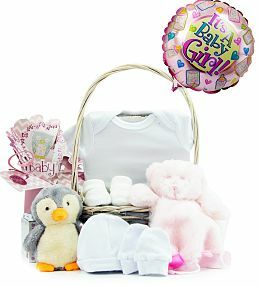 Celebrate the gorgeous new arrival with this Deluxe Baby Girl Gift Set. Featuring clothing, soft toys, a money box and chocolates, it&apos;s the perfect set for mum and new baby to enjoy. 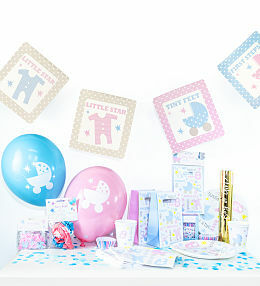 Celebrate the gorgeous new arrival with one of our fantastic new baby hampers. Our baby boy gifts and baby girls gifts feature sleepsuits, mitts, hats and a super soft cuddly toy for new baby to treasure. 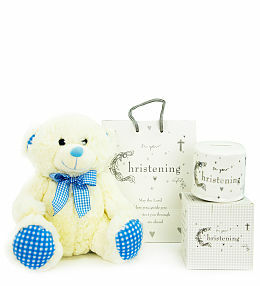 Some of our baby gifts include a money box, celebration balloon and chocolates. We have something for new parents too - spoil them with a beautiful bouquet of new baby flowers! Our new baby hampers and gifts are available for UK next day delivery.